40s Mary Jane Indulge Black White spectator patent platform pumps from Funtasma by PLEASER. This so called Mary Jane pump will charm everyone that you come near, it is a grown-up-girl version. 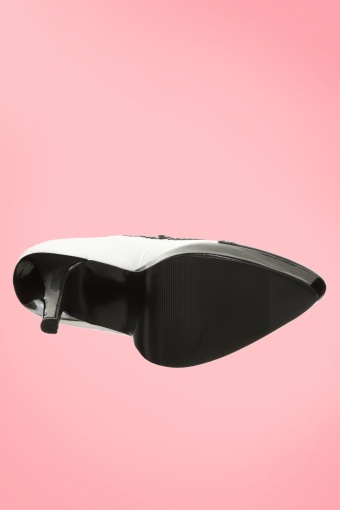 The glossy faux patent upper with contrasting trim all around its curves and adjustable strap and pointed nose add a certain edginess to your outfit. The heels aren't so high as it seems, because of the platform. Perfect match with our vintage & pinup style dressen but also cool paired with jeans or leggings! 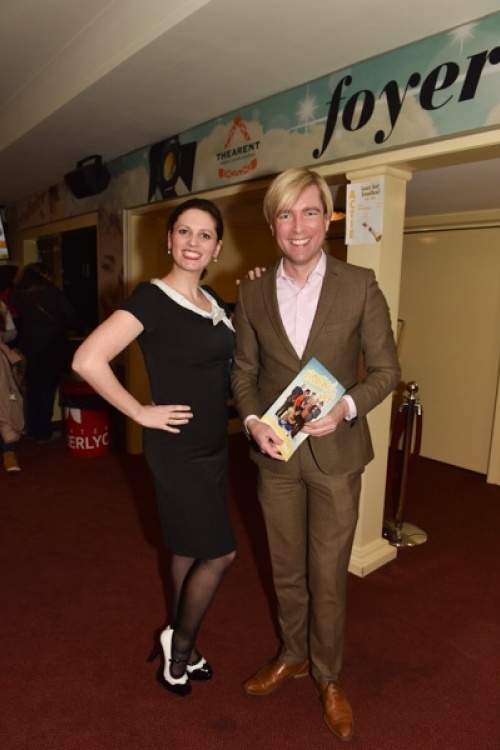 Belgian actrice Fleur Brusselmans wore our shoes during a première!